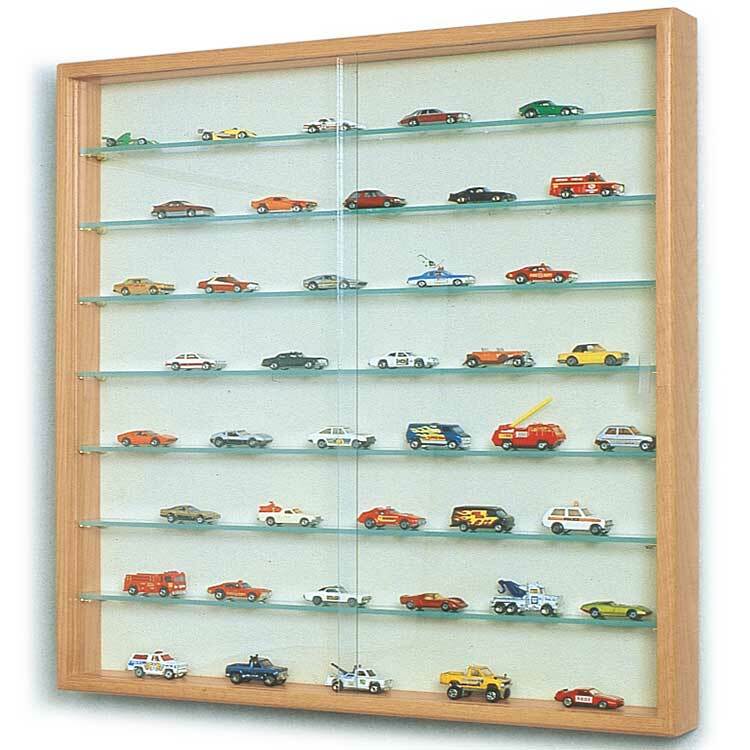 These display cases are designed with traditional style and solid construction. Plate grooved shelves paired with a plaque fabric back allow for the perfect setting for your most prized possessions. Two distinct sizes with different shelving options allow you to ensure you have the proper room for your display. Specialty offers built-in locks for protecting collections, flags, and special mementos. This display case is available in two distinct sizes with 3 or 7 plate grooved shelves making it customizable to your accolades. 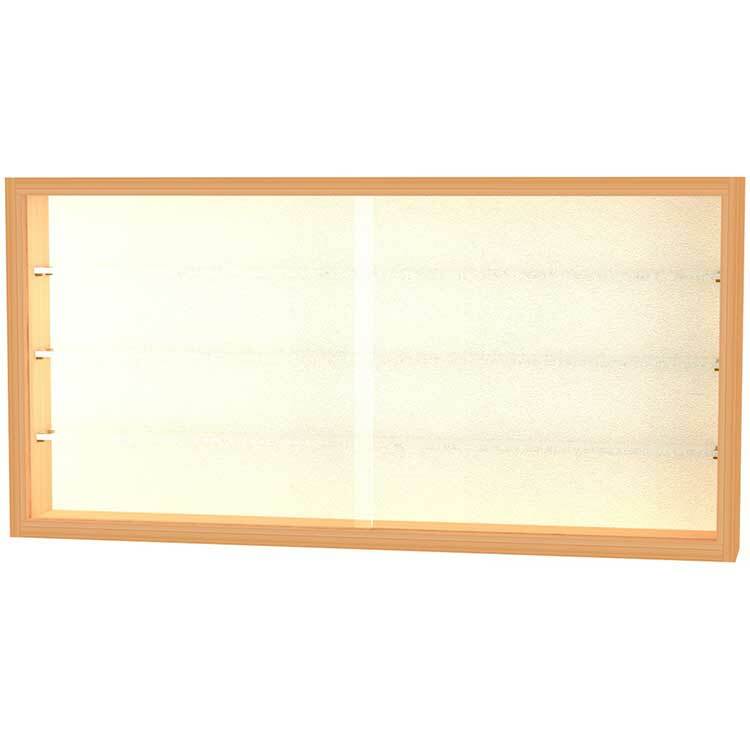 The tackable fabric backing allows you to hang memorabilia and gives you more space to showcase items. Specialty cases are backed by Waddell's Limited Lifetime Warranty. The Specialty Series from Waddell’s product collection is designed with a classic and traditional style. The solid construction of the display case will stand the test of time and ensure the protection of your most prized possessions. 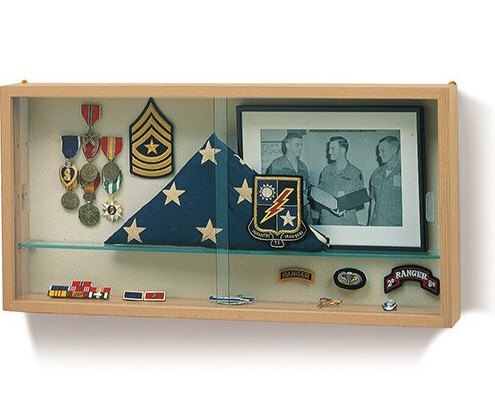 These small showcases are ideal for protecting collections, flags and special mementos. Plate grooved shelves paired with a Plaque Fabric case back allows for the prefect setting for your display. The Specialty series is available in two distinct sizes that both come with different shelving options of three or seven plate grooved. 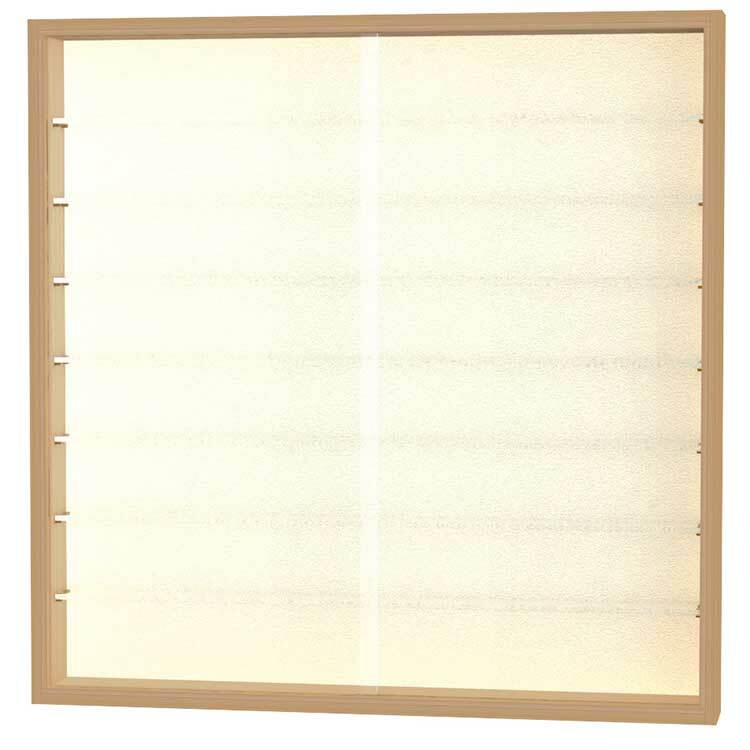 This ensures you have the proper room for your presentation. The Natural Oak frame houses a lockable sliding glass door that adds style and security to your accolades. All cases ship to you in Waddell’s exceptional packaging and come fully assembled. Specialty is backed by Waddell's Limited Lifetime Warranty and made in the USA.